To meet the demands of our patrons, we are manufacturing, supplying and exporting top quality Grains Color Sorting Machine. These machines are highly appreciated by our customers for their excellent performance and design. Best-in-class materials and components are brought from the reliable vendors of the market to manufacture these machines. 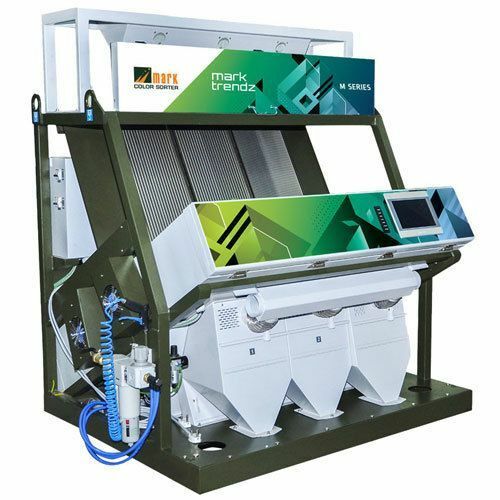 The Grains Color Sorting Machine is used to sort various grades of grains. We are able to deliver these machines under a specific time-frame at market leading prices. 72" X 55" X 75"